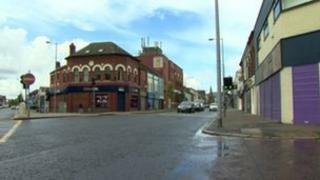 A 23-year-old man has been taken to hospital after suffering suspected head injuries during an assault in east Belfast. It happened on the Newtownards Road shortly before 01:20 BST on Sunday. A 22-year-old man has been arrested. Police have appealed for witnesses to contact them.